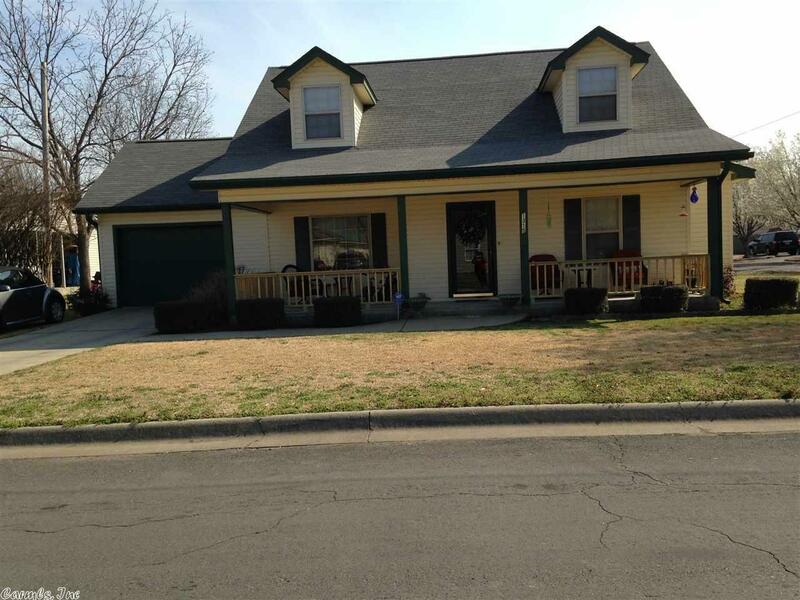 One of the few GARDEN HOMES located in Arkadelphia: BEAUTIFUL CORNER LOT. Low maintenance is what you'll find with this property....not a lot of mowing but lots of space to spread out inside your new home. NEW SEAMLESS COUNTERTOPS and BACKSPLASH have been installed. There are FOUR BEDROOMS(2 up/2 down) and TWO BATHROOMS, DR/KIT combination. You'll love to sit out on the LARGE FRONT PORCH and enjoy the neighborhood or step out the back door onto the covered patio. Lots of perennials in the yard to enjoy.